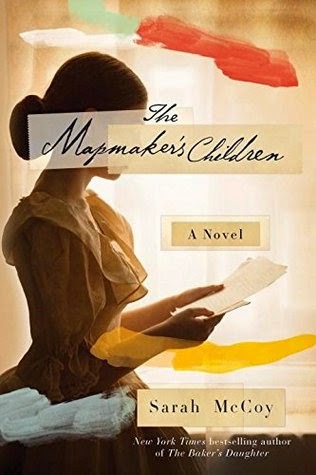 Goodreads: When Sarah Brown, daughter of abolitionist John Brown, realizes that her artistic talents may be able to help save the lives of slaves fleeing north, she becomes one of the Underground Railroad’s leading mapmakers, taking her cues from the slave code quilts and hiding her maps within her paintings. She boldly embraces this calling after being told the shocking news that she can’t bear children, but as the country steers toward bloody civil war, Sarah faces difficult sacrifices that could put all she loves in peril. Kritters Thoughts: A dual narrative with one story taking place right before the Civil War begins and a current story line that from the start of the book intersect and weave in and out of each other. Sarah Brown is a gifted artist and a daughter of John Brown an up and coming abolitionist. Eden is our modern day character and she has moved into an old home and is finding hidden things in the home to help her uncover the secret history of this home and town she is living in. Usually when reading a dual narrative, I fall in love with one character and shy away from the other, but in this book both narrators and their stories were equally interesting. I loved the apparent similarities between the characters and how Eden's discoveries help unfold Sarah's story. The puzzle pieces were revealed at just the right time with enough anticipation, but not feeling like the author was holding things for too long. I loved that Sarah's story was not in the thick of the Civil War, but instead on the onset just as things were start to bubble up - it gave something to the story. Although I knew the outcome of how things were going to happen, I was still on the edge of my seat as to how it would affect Sarah and her friends and family who were fighting to free slaves and create a movement in the nation. I would recommend this book to both fans of historical fiction and those who may not read the genre often. The history didn't feel like lessons, but instead a full story. I just picked this one up and am excited to start it. I really like dual narrator books, and like you there's usually one I connect with more. Sometimes it seems like the personalities of the two characters are the same though, which I've seen when the characters are related across time. I know quite a bit about John Brown but nothing at all about his daughter. Sounds like this book is not to be missed!